This year marks the 325th anniversary of the 1689 Second London Confession of Faith. In recognition of the impact this confession has played in our history and its significance for our future, we restarted our podcasts to highlight this standard of confessional Reformed Baptists. We began with three podcasts focusing upon the purpose of the 1689. Many times the spirit of the confession is lost due to the deletion of the Preface and Appendix in modern publishing. This is very unfortunate for without the purpose or their reasons for issuing this confession, the context is lost. As a result, the 1689 has been used with intents that were never sanctioned by the signers of this faithful confession of our faith. Some have misused this confession as a tool to divide the Church. Of course, this is not just a Baptist sin but we must confess and forsake our sin where we have contributed to schismatic behavior within the catholic Church. Instead of pointing fingers at everyone else to justify our role in denying the liberty among Reformed churches in secondary issues, we should confess our sin and return to true confessionalism. While the letter of the confession is crucial, we cannot forsake the spirit of the confession. To truly be confessional according to the 1689, we must confess its spirit as well as content. Yet, even in the letter of the confession, it is important that we stick to what it says and not what we wish it said. The actual text of the confession is what defines our fellowship with the Reformed Catholic Church and our associational relationship with Reformed Baptists. In these three podcasts we attempt to set forth the purpose for the publication of the 1689 London Confession of Faith. The spirit of this document cannot be separated from its content. 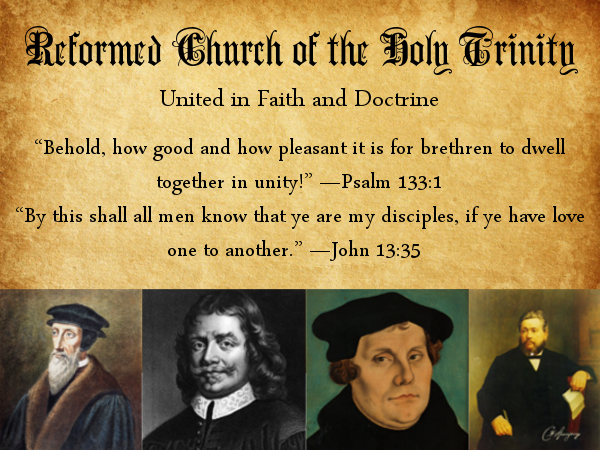 It was the purpose of these English Baptists to show our unity with the catholic Church and our distinctions as Baptists within the universal visible Church.